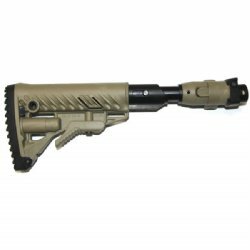 Flat Dark Earth version of the M4-Galil P SB Shock Absorbing Buttstock. Replaces the original Galil stock with an M4 style collapsible and side folding stock with a built in shock absorbing mechanism. 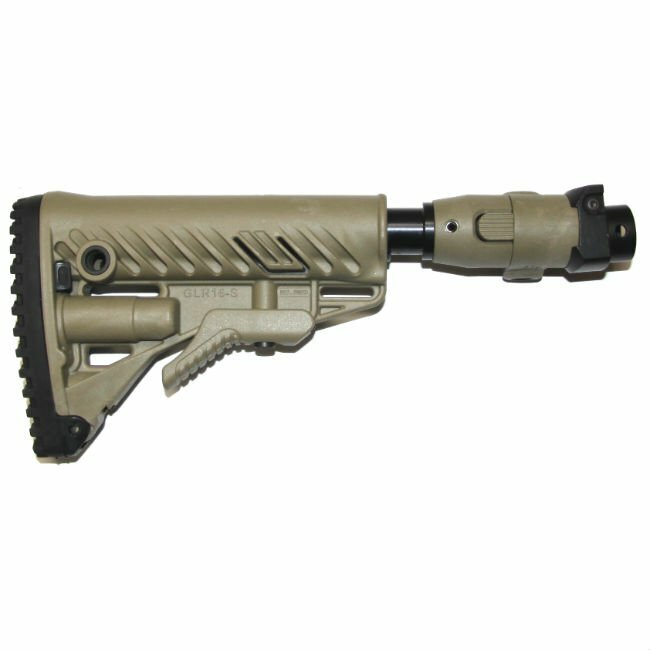 Embedded in the M4 buffer tube is a clever recoil reducing shock absorber. This reduces felt recoil and helps shot to shot recovery time. Numerous traditional and quick detach sling attachments. M4 stock includes 5 sling mounting options including two quick detach mounts (one on each side of the stock). Well designed swing down buttpad offers a water tight battery compartment. 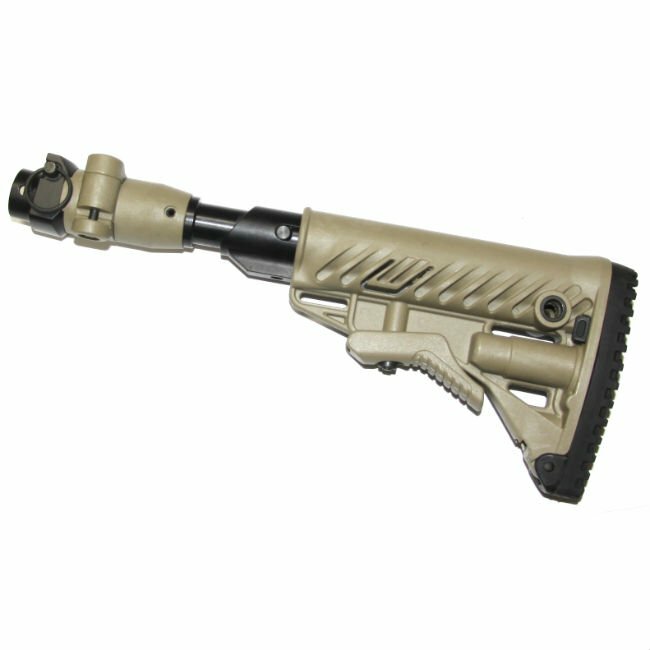 This is a light weight, strong and durable replacement stock for your GALIL. Galil and Short Galil models (not including Micro Galil).